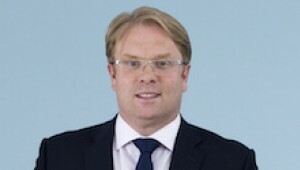 Leading South East law firm, Thomson Snell & Passmore, is pleased to announce that their Commercial Property team has been appointed to three significant panels, Commercial Acceptances Limited – part of the Close Brothers Group; Charity Bank – the ethical bank that lends to charities and social enterprises and Paratus AMC Ltd a specialist lender in the buy to let market. Commercial Acceptances Limited provides specialist short term finance for residential and commercial property. As part of the Close Brothers Group they are backed by the UK’s largest independent and fully quoted merchant bank. They focus on structured property finance options in London and the Home Counties. Close Brothers are a merchant banking group that provide lending, deposit taking, wealth management services and securities trading that Thomson Snell & Passmore has been affiliated with for many years. Charity Bank is an ethical bank with a mission to use money for good. Charity Bank lends solely to charities, social enterprises and other organisations where the loan is for social purpose. Since 2002, it has used the money saved with it to provide over £180 million of loan finance to support organisations which are working to enrich and improve society. All of Charity Bank’s shareholders are charitable trusts, foundations and social purpose organisations. Paratus AMC Ltd, are a mortgage lender and specialist funder for BTL SPVs. Thomson Snell & Passmore were introduced to them through their close relationship with Mortgages for Business and their Keystone lending brand. The firm’s experienced Commercial Property team act on a variety of different commercial transactions including asset management and acquisitions. Their traditional client work remains substantial lending projects. These new appointments complement the existing practice and will bring increased efficiencies and working practices across the team as they advise both Commercial Acceptances Limited, The Charity Bank Limited and Paratus AMC Ltd on short term and development lending across their property portfolios.